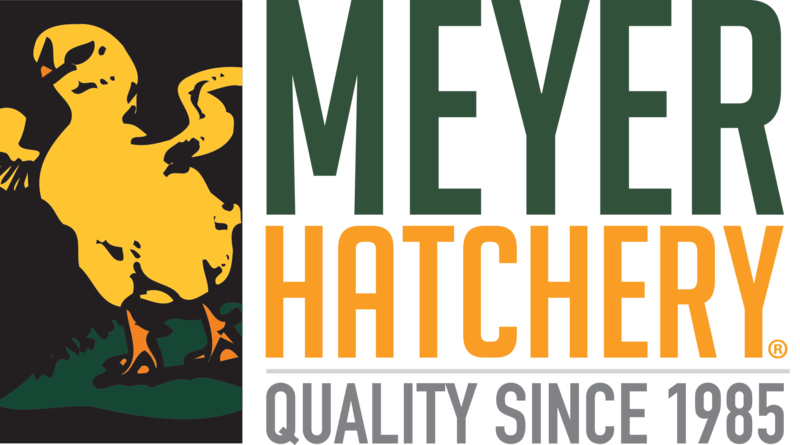 To purchase Swans at Meyer Hatchery, shop our website. Swans are shipped via airline cargo in a special avian box. They will arrive the same day they are shipped at your local international airport, where you will pick them up. How do I introduce my swans? Swans can be put immediately on the water any time of day. They know to stick to the water for safety and will make themselves comfortable. Will my swans fly away? Your swans will be pinioned and they will not be able to fly away. Swans can walk, however, so erecting a 3’ fence around your property will prevent them from walking off. I live in a very cold area, can I have swans here? Swans actually love the cold, with the exception of the Australian Black swan. You will need to supplement their food with a commercial waterfowl feed and greens. You will also need to put a bubbler in place in your water source to keep a portion of it unfrozen for them. I live in a very warm area, can I have swans here? How much water does a swan need? The bigger the better, but at a minimum, a 1/4-acre pond that is at least 2-3 foot deep is recommended. Swans eat vegetation in and around the pond, as well as tadpoles and insects. You can also supplement any type of greens (grasses or produce) as well as a commercial waterfowl feed. We also recommend cracked corn as a supplemental food because of its Vitamin A content, which is an essential vitamin for the swan's neurological health. What predators do I need to protect my swans from? Snapping turtles in the water will prevent swans from entering the water. You will also need to keep them safe from foxes and minks. You may have other predators depending on your area. They do keep to the water and typically safe from predators there. What is the proper name for swans of different genders and ages? A male swan is called a Cob, females are called a Pen, and babies are called Cygnets. Can I own a swan where I live? The only known restrictions at this time are White Mute Swans; they are considered an invasive species and are not allowed in the states of California, Oregon, New York, and Maryland. How old are my swans? Cygnets are birth to 1 year. Yearling White Mute and Australian Black Swans are considered yearling from age 1 year to about 18 months, at which point they are then considered breeder age. Trumpeter and Whooper Swans are considered yearlings from 1-3 years, and breeder age is 3+ years. Can I keep more than 1 pair of swans together on the same pond? Because we cannot guarantee that the pairs are familiar with each other, Meyer Hatchery recommends only 1 pair. They are likely to fight and possibly even drive one male off during breeding season. Can I order just a male or female wild duck, instead of a pair?